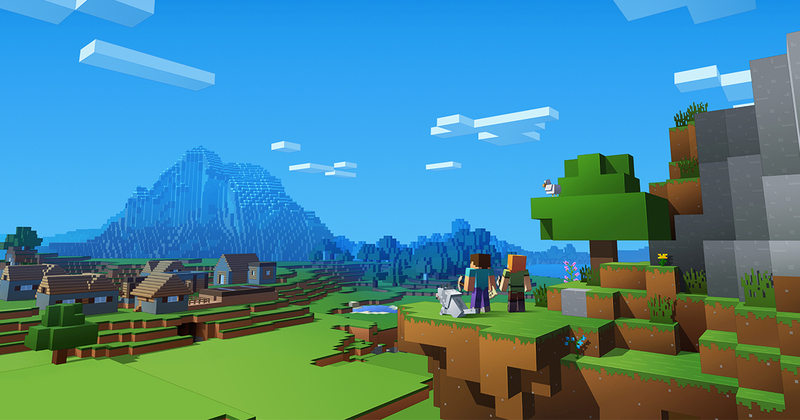 "Why is my 6-year-old Aspergers son so engrossed in Minecraft, and how can I tell if it is an unhealthy obsession rather than just a fun time activity for him?" Many children with Aspergers have sensory sensitivity and may be over- or under-sensitive to sights, sounds, smells, taste and touch. This sensitivity can also affect children’s balance ('vestibular' system) and body awareness ('proprioception' or knowing where our bodies are and how they are moving). Obsessions and repetitive behavior can be a way to deal with sensory sensitivity. Reality to an Aspergers child is a confusing, interacting mass of events, people, places, sounds and sights. Set routines, times, particular routes and rituals all help to get order into an unbearably chaotic life. Trying to keep everything the same reduces some of the terrible fear. Many children with Aspergers have a strong preference for routines and sameness. Routines often serve an important function. For example, they introduce order, structure and predictability and help to manage anxiety. Because of this, it can be very distressing if an Aspergers child’s routine is disrupted. Sometimes minor changes (e.g., moving between two activities) can be distressing. For others, big events (e.g., holidays, birthdays, Christmas, etc. ), which create change and upheaval, can cause anxiety. Unexpected changes are often most difficult to deal with. Children's dependence on routines can increase during times of change, stress or illness and may even become more dominant or elaborate at these times. Dependence on routines may increase or re-emerge during adolescence. Routines can have a profound effect on the lives of children with Aspergers, their family and care-takers, but it is possible to make a child less reliant on them. Can the child stop the behavior independently? Does the child appear distressed when engaging in the behavior or does the child give signs that he is trying to resist the behavior (e.g., someone who flaps their hands may try to sit on their hands to prevent the behavior)? Is the behavior causing significant disruption to others (e.g., moms and dads, care-takers, peers, siblings)? Is the behavior impacting on the child’s learning? Is the behavior limiting the child’s social opportunities? If your answer to any of the questions above is 'yes', it may be appropriate to look at ways of helping your youngster to reduce obsessive or repetitive behavior. Think about whether, by setting limits around a particular behavior, you are really helping your youngster. Is the behavior actually a real issue for him, for you, or for other people in his life? 1. Coping with change: If unexpected changes occur, and your youngster is finding it hard to cope, try re-directing them to a calming activity, or encourage them to use simple relaxation techniques such as breathing exercises. You could use praise or other rewards for coping with change. In the long term, this may help make your youngster more tolerant of change. 2. Explore alternative activities: One way to interrupt repetitive behavior is for a youngster to do another enjoyable activity that has the same function (e.g., a youngster who flicks their fingers for visual stimulation could play with a kaleidoscope or a bubble gun; a youngster who puts inedible objects in their mouth could have a bag with edible alternatives that provide similar sensory experiences such as raw pasta or spaghetti, or seeds and nuts; a youngster who rocks to get sensory input could go on a swing; a youngster who smears their poop could have a bag with play dough in it to use instead). 3. Intervene early: Repetitive behaviors, obsessions and routines are generally harder to change the longer they continue. A behavior that is perhaps acceptable in a young Aspie may not be appropriate as they get older and may, by this time, be very difficult to change. For example, a youngster who is obsessed with shoes and tries to touch people's feet might not present too much of a problem, but a teenager doing the same thing - especially to strangers - will obviously be problematic. It will help if you can set limits around repetitive behaviors from an early age and look out for any new behavior that emerges as your youngster gets older. Making your youngster's environment and surroundings more structured can help them to feel more in control and may reduce anxiety. If anxiety is reduced, the need to engage in repetitive behavior and adhere strictly to routines may also, in time, be reduced. 4. Pre-planning: You may be able to help your youngster to cope with change, or activities and events that could be stressful, by planning for them in advance. Change is unavoidable, but it can be really difficult for many children with Aspergers. You may not always be able to prepare for change a long time in advance, but try to give your youngster as much warning as possible. Gradually introducing the idea of a new person, place, object or circumstance can help them cope with the change. Try to talk about the event or activity when everyone is fairly relaxed and happy. Presenting information visually can be a good idea, as your youngster can refer to it as often as they need to. You could try using calendars so that your youngster knows how many days it is before an event (e.g., Christmas) happens. This can help them feel prepared. Your youngster might also like to see photos of places or objects in advance so they know what to expect (e.g., a picture of their Christmas present) or a photo of the building they are going to for an appointment. Using social stories could also be helpful. These are short stories, often with pictures, that describe different situations and activities so that children with Aspergers know what to expect. Pre-planning can also involve structuring the environment. For example, a student with Aspergers might go to use a computer in the library at lunchtime if they find being in the playground too stressful – or if a youngster has sensory sensitivity, minimizing the impact of things like noises (e.g., school bells) or smells (e.g., perfumes or soaps) can help them to cope better. It is possible that more structured environments may reduce boredom, which is sometimes a reason for repetitive behavior. You might prepare a range of enjoyable or calming activities to re-direct your youngster to if they seem bored or stressed. 5. Self-regulation skills: Self-regulation skills are any activities that help your youngster to manage their own behavior and emotions. If you can help your youngster to identify when they are feeling stressed or anxious and use an alternative response (e.g., relaxation techniques or asking for help), you may, in time, see less repetitive or ritualistic behavior. Research has also shown that increasing a child’s insight into an obsession or repetitive behavior can significantly reduce it. This includes children with quite severe learning disabilities. 6. Set limits: Setting limits around repetitive behavior, routines and obsessions is an important and often essential way to minimize their impact on your youngster's life. You could set limits in a number of ways depending which behavior concerns you. For example, you can ration objects (e.g., can only carry five pebbles in pocket), ration places (e.g., spinning only allowed at home), and ration times (e.g., can watch his favorite DVD for 20 minutes twice a day). Everyone involved with your youngster should take the same consistent approach to setting limits. Have clear rules about where, when, with whom and for how long a behavior is allowed. You could present this information visually, with a focus on when your youngster can engage in the behavior. This may help if they feel anxious about restricted access to an obsession or activity. 7. Social skills training: Teaching social skills (e.g., how to start and end a conversation, appropriate things to talk about, how to read other people's 'cues') may mean someone with Aspergers feels more confident and doesn't need to rely on talking about particular subjects (e.g., a special interest). 8. Understand the function of the behavior: Obsessions, repetitive behavior and routines are frequently important and meaningful to children with Aspergers, helping them to manage anxiety and have some measure of control over a confusing and chaotic world. For others, the behavior may help with sensory issues. Take a careful look at what you think might be causing the behavior and what purpose it might serve. For example, does your youngster always seem to find a particular environment (e.g., a classroom) hard to cope with? Is it too bright? Could you turn off strip lighting and rely on natural daylight instead? 9. Visual supports: Visual supports (e.g., photos, symbols, written lists or physical objects) can really help children with Aspergers. A visual timetable could help your youngster to see what is going to happen next. This makes things more predictable and helps them to feel prepared. It may lessen their reliance on strict routines of their own making. Visual supports like egg timers or 'time timers' can help some children with Aspergers to understand abstract concepts like time, plan what they need to do, when in order to complete a task, and understand the concept of waiting. Visual supports can also be useful if your youngster asks the same question repeatedly. One parent wrote down the answer to a question, put it on the fridge and, whenever her son asked the question, told him to go to the fridge and find the answer. For kids who can't read, you could use pictures instead of words. A child with a special interest in historical dates could join a history group and meet others with similar interests. A child with knowledge of sport or music would be a valuable member of a pub quiz team. A strong preference for ordering or lining up objects could be developed into housework skills. An interest in particular sounds could be channeled into learning a musical instrument. An obsession with rubbish could be used to develop an interest in recycling, and the youngster given the job of sorting items for recycling. • Anonymous said… Mine is 17 and still obsessed. I think we have every game, plus the cards, and watch the cartoon. HELP! • Anonymous said… My lad of 21 now he has aspergers.was mad on pokemon and digimon. • Anonymous said… My son is obsessed with this too! • Anonymous said… My teenager( Aspergers) at age 6 was obessed with Spongebob. We would turn the Television and he could repeat the episode without pictures or words. I think that they just love different things and have a likeable interest. My normal 6 year old is obsessed with Sonic. He is at the top of his class and this is the 2nd 9weeks weeks of report cards. He wants every character. At least it is a good thing and not something bad. • Anonymous said… Pokemon was created by an autistic man, so I can see why they can become an interest. • Anonymous said… This is an excellent article! Our 7-year-old grandson is obsessed with Minecraft. We have to curb his enthusiasm for discussing Minecraft every single minute of the day, or we would go completely batty! We tell him that although he loves Minecraft, not everyone shares his interest, and it's important to find out what other people's interests are, and not to monopolize conversations talking about his interests only. • Anonymous said… When our Aspergers son got into Pokemon it was actually a HUGE help for him socially. Since all the kids were into it, he actually had common interests and they could all talk Pokemon. We saw a lot of social growth during this phase so the obsession was actually very healthy for him. Get used to Pokemon. It's a way of life. Let me know if you need a course on fire types, grass types, what they evolve into, etc. My son really REALLY enjoys being able to explain all their attributes, etc. to me. I say go with the flow!! Mine is like that with fish. We had a similar question when our son was little, what we did to help him get over the obsession part of his interests was help him identify other outlets related to his interests. Pokemon for example being from Japan, you may want to find other Japanese things for your son to do, origami, other Japanese games or shows or even learning how to speak Japanese are healthy activities that you could tell your son is "like Pokemon" My son was big time into robots when he was younger, so we helped him identify with other robot-type things. He began using legos and lego mindstorm. Later he started learning some computer coding that would help program a robot. Because its a fantastic game!! Our 13 yr old is the same way with Pokemon. He explains them all and loves to draw each of them. They are also a comfort (security) to him when we travel. Have the school incorporate his art (which includes Pokemon and Mario & Luigi) into his school work but also try to guide him to draw other things too. My 13 year old was that way with Scooby-Doo. She isn't as bad as she when she was younger, but we still have to have a Scooby birthday cake every year. And she still draws him a lot. She loves art, and does branch out more, but she still draws Scooby at least once everyday. I even tried to get her to draw the other characters, but it's still Scooby. My 9 year old is just obsessed with computers and games in general. He becomes distressed when he cannot play them. His school one to one often complains of him being in character mode but this makes him calm and happy. What should we do? Just an FYI...They person who invented Pokemon also had Aspergers. My daughter is obsessed with cats. She can see a cat and know exactly what the breed is. I say if it makes your child happy obsess away! did you know that the person who made pokemon had aspergers. my daughter loved pokemon. there are worse obsessions to have. My son is obsessed with Sponge Bob. He knows everything about him & has started a Sponge Bob fan club that our family is now part of after we answered questioned of course :). For my 9 year old, it's WALMART! All he thinks about is buying toys at WalMart. He has explosive episodes when he is not allowed to go. Every time he becomes anxious about something he wants to go to WalMart. He has expressed already that he feels he needs new toys so kids would like him, but he seems to also feel like he always needs something new. My 10yo Daughter is the same with Pokemon. She will spends hours researching, reading books and playing games. She also loves to watch you tube videos about the as well. My daughter is the same with Pokemon. Cards, DS games, TV Shows, You Tube videos, plush toys and figurines. ANything POKEMON! My son is obsessed with geology and Dr. Who! My 12 yr old is that way with cars know everything about cars and the mechanics of them. And my 3 yr old is obsessed with horses and has been since she was a yr and a half. That's all she thinks about. My 10 yr old daughter & 8 yr old son have Aspergers & they are that way with Pokemon & Skylanders. They know every kind, all the stats, everything. They have fantastic memories and I've found it to be a brilliant teaching example when learning new things. I was into carebears and rainbow brite. I grew out of them eventually. My opinion is if its all they want to play then I put a time limitation on it. My children play no video games during the week. Yeah they didn't like it at first but they got used to the routine. If I've learned anything it's consistency. They are always going to push the boundary, it's up to us parents to set the limitations early on. The trick for me has been to have a variety of activities to keep them busy so they aren't so focused on that one particular thing for long periods of time. Put mine down for Trains. Lionel, real ones, and everything that might go with it. I now use trains as a reward. same here my son can tell you who won the eurovision for the last 20 years, who sang the song where it was held. Can fix computers phones anything electrical. If my son plays to many video games he gets aggitated and frustrated and it changes his behaviour in a neg way. And he is only allowed to play the rated E games. So find what works best for u and ur family but i agree with others. Consistency is important. Believe, it seems harmless while they are young, but it will consume every waking hour if you allow it. They don't have a concept of real time. It is almost like they are getting lost in a fantasy world. Honestly, I do not know how to bridge that and make real life important to him. Mine use to be into trains big time then it became pokemon for a little while and now it is legos. Our Aspie is too! Before this it was Dinosaurs and before that LEGOs, and before even that Thomas the Tank Engine. my kids don't 'play' pokemon...they study it! seems like a pattern here. they obsess! Mine is 13 and has always obsessed over something. sometimes for a long time and then his interest would change. I don't think there's anything we can do to stop the obsession but yes, i agree we should help control it by limiting time or applying it to other aspects of life. the good thing is it is the PERFECT consequence for unacceptable behavior! Take away the obsession and they GET THE IDEA pretty quick!! Good luck! The obsessions are part of it,driven by some ocd sometimes. They will change with age and my guy started with Pokemon and then many others along the way.Now,at 12 he always always will have his legoes,and he loves his electronics. I'm sure its a "trait" of Aspergers...my son plays Minecraft & Roblox ALL the time...we have to pull him off the computer. He would be on there all day & all night if we allowed it. Force them to play outside! They'll hate it for 5 mins...then they won't come in! They obsess with everthing they put their mind to. It started with Care Bears, My Little Ponies and , Littlest Pet Shop as a little girl now it's dinosaurs, dragons, anime and Manga comics....she's becoming an awesome artist now. we have had kettles, irons, light switches, hoovers, jesus, scrooge now its power rangers he is so intense with it. My six year old will actually get in arguements with grown ups over Star Wars. He knows every line, detail, and attribute that makes a jedi! If you ever want to know tornado statistics he's the one to ask. Although I'm not sure why this one developed, we live in California. One day we spent on the lake he talked someone with a boat that they were trying to fix. After talking to him for a while he became obsessed with learning all the parts of a boat's motor. He can tell you just about everything about repairing boats now. That one might be handy and profitable! My 13 yr Aspie kiddo is obsessed with Sonic the hedgehog..from games to cartoons. All his classwork has some kind of small drawing of Sonic. sometimes he won't do classwork, teacher finds him doodling Sonic. He spends all his free time drawing him, and he is awesome at drawing him. He also runs like him. i tried to make him stop, but it's like punishing him for something he has no control over. So now we teach him when and where it is ok. It will take time to get this on track. For now, you just gotta love my kiddo. Our 36 year-old enigma, is an amazing expert on actors, actresses, movies, when they were made etc; tractors, farm equipment cars, transport trucks, and on and on. He can tell you what kind of rims are on the wheels, can identify transports when they are just dots on the horizon to me. The only time he's ever been unable to identify a tractor, was when we were visiting France when he was about 10 and he saw a Peugeot, which we don't have in our region of Canada. He knows if someone has changed the headlights on their car. Is never wrong! A friend made " John Deere" placemats and napkins for him. I tease him sometimes and put the placemat with the tractor pictures facing upside down. I know he's not feeling well if he fails to right the placemat. ( Otherwise he won't say if he doesn't feel well, we have to guess.) There's a lot of observation and guesswork involved, on our parts. My son was star wars from age 1 1/2 to 7, he blows adult fans' minds, he started obsessing over guns at about 2, building them from legos and is now an expert, he started obsessing over video games and legos at 4 and has had an obsession w/ JFK since black ops came out. He does not play with toys unless they are guns and has recently begun an obsession w/ Rob Dyrdek and minecraft. He makes wonderful sound effects and has always preferred imagination play w/no more than 1 other child and is becoming quite an artist drawing his obsessions. Is also light and sound sensitive, prefers talking adults ears off to children cause he is too much sometimes and adults will humor him. Must pull him off ppl, when he really gets going. Does anyone else's child have an easier time focusing when sitting on carpet? It is the only way my son can do his school work w/out being blocked out behind furniture. My son has an obsession with Indiana Jones and firearms. He can construct any kind of firearm out ofany piece of paper and clear adhesive tape and I'm talking about every single detail of the gun. He loves to watch the Indiana Jones movies and play the Lego Indians Jones video games. my 9 year old son has had many obsessions for long periods of time. Right now, it is guns and knives. This scares me a little. How do I know if this will last or if this is a bad obsession? He is a very kind boy who has more empathy than anyone I know. I know he won't intentionally hurt anyone and I know he has a very large imagination. How do I let him have his outlet of the love of guns and knives in a safe way? My husband and I have different opinions on this. I wouldn't choose to deny him of his love of certain weapons, but I would like to incorporate right and wrong of the weapons. He likes any plastic play guns and plastic knives. He loves to pretend he is in the army. Or he is shooting zombies. lol. My husband doesn't want people to think he is going to be THE kid who does school shootings. My son is a very unique and kind hearted aspergers child whose mind is beyond our comprehension. Video games, guns, and knives are his interest right now. I think we should be able to help him in his outlet by letting him learn the safe ways and right and wrong ways of using these things. Am I wrong? I have autism, and I'm mostly into Politics! Whether it's injustice, or so,etching else, whether it's historic or current, that's me, you can't take that away from your kid! Try to talk about it, I know it's hard when you're not into the topic, but you can learn a lot! my 9yr old son displayed asperger syndrome though he is very chatty (and everyone around me ensure me he is normal,but I know better!). his current obsession is indeed pokemon and also minecraft (will watch youtube videos of famous players and subscribe to them). if those are not available he plays lego (because it looks like minecraft) and angry birds..
My 12 year old child is so obsessed with generators. It started when she was in 6th grade while learning how generators work in their science class. Everytime she sees generators she gets very excited. She would ask me if I could buy her one. She makes craft generators made of foams every single day. She gets loud if she sees generators around construction areas, behind buildings ,food stands.